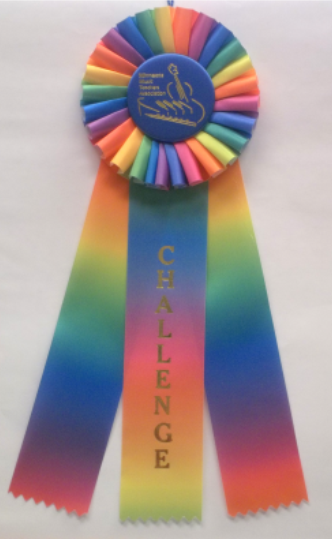 The Rosette Ribbon is awarded to students with 300 Challenge Award points. Award students upon the completion of Comprehensive Piano Exam Prep Level with a colorful ribbon. Award students upon the completion of Comprehensive Piano Exam Level 1 with a colorful ribbon. Award students upon the completion of Comprehensive Piano Exam Level 2 with a colorful ribbon. Award students upon the completion of Comprehensive Piano Exam Level 3 with a colorful ribbon. Award students upon the completion of Comprehensive Piano Exam Level 4 with a colorful ribbon. Award students upon the completion of Comprehensive Piano Exam Level 5 with a colorful ribbon. Award students upon the completion of Comprehensive Piano Exam Level 6 with a colorful ribbon. Award students upon the completion of Comprehensive Piano Exam Level 7 with a colorful ribbon. Award students upon the completion of Comprehensive Piano Exam Level 8 with a colorful ribbon. Award students upon the completion of Comprehensive Piano Exam Level 9 with a colorful ribbon. Award students upon the completion of Comprehensive Piano Exam Level 10 with a colorful ribbon. Award students upon the completion of Comprehensive Piano Exam Level 11 with a colorful ribbon. Award students upon the completion of the Theory Exam Level 1 with a colorful ribbon. Award students upon the completion of the Theory Exam Level 2 with a colorful ribbon. Award students upon the completion of the Theory Exam Level 3 with a colorful ribbon. Award students upon the completion of the Theory Exam Level 4 with a colorful ribbon. Award students upon the completion of the Theory Exam Level 5 with a colorful ribbon. Award students upon the completion of the Theory Exam Level 6 with a colorful ribbon. Award students upon the completion of the Theory Exam Level 7 with a colorful ribbon. Award students upon the completion of the Theory Exam Level 8 with a colorful ribbon. Award students upon the completion of Vocal or Instrumental Exams Level 1 with a colorful ribbon. Award students upon the completion of Vocal or Instrumental Exams Level 2 with a colorful ribbon. Award students upon the completion of Vocal or Instrumental Exams Level 3 with a colorful ribbon.